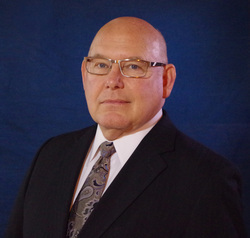 Richard brings over 25 years healthcare experience in revenue cycle management, information systems, operational management/improvement via LEAN Six Sigma, and international consulting to the organization. Richard began his career as a systems analyst designing, developing and implementing information systems for revenue cycle, patient management, and pharmacy operations in large academic medical centers. He was the initial developer for cross continuum clinical documentation systems. Richard’s success using information systems to deliver sustainable business and financial improvements promoted him to Director and Chief Information Officer positions within the Catholic Healthcare System. While with the Catholic Healthcare System, Richard received the “Gets the Job Done”, “FISH Leadership” and the honored “Administrator’s Award”. In addition, Richard has received four “Most Wired Award” from the Healthcare Information and Management Systems Society. Richard’s success with Information systems transitioned him to operational leadership roles, including director, vice president, COO, and associate CFO for outpatient services, including clinic operations, home health and physician management. Responsible for operational management, revenue cycle, and overall business functions. Richard developed a proven track record of returning operations to a positive margins. Richard re-joined Academic –Public Health Medicine with Denver-Colorado Health as the Associate CFO for Outpatient-Clinic Operations and the Administrator for the Physician Organization. Richard provided the leadership for a multi specialty physician organization with over 500 physicians and numerous clinic and outpatient service locations. Richard was instrumental in leading the organization to a 20% positive margin. Prior to joining CMRC & Manzil, Richard was President/CEO for Allegiance Business Services (ABS) an international consulting firm. ABS has successful engagements in the UAE, Libya and Nigeria. Implementing clinical and financial information systems, revenue cycle improvements and staff development. Richard has an BS from The Ohio State University, Master Black Belt in LEAN-Six Sigma, continuing professional training from Harvard Business School – Executive Management, Denver and Indiana Universities Executive Leadership programs. In addition, Richard is a speaker with HIMSS, and at Microsoft Healthcare Conferences. Eric L. Qualkenbush is an experienced former Intelligence Community senior executive with proven ability to lead large multicultural organizations through transformational change. He recently served as an executive in the government services contracting industry who specialized in guiding organizations towards business growth. He is a former senior member of the Federal government’s Senior Executive Service who is recognized as a leader in organizational change management and executive development. He is an innovator who created organizations and programs that deal with the worldwide proliferation of weapons of mass destruction, insider threat and competitive intelligence. Eric has lived and traveled extensively worldwide. He has managed congressional relations and multi-billion-dollar budgets for the CIA. Upon retirement from his career with the CIA, Eric became Director of the University of Findlay’s (Ohio) Center for Terrorism Preparedness. He managed all aspects of the CTP program (which specializes in training first responders, law enforcement and others involved in combating terrorism) including setting strategy, program management and promotion of the program. As a founding partner of the Insider Threat Mitigation Group (ITMG), Eric applied the experience of veteran FBI/CIA field operatives to protect the most valued assets of commercial enterprises. ITMG provides technical and non-technical consulting services, solutions, and training, to mitigate human hacking and exploitation by malicious insiders, competitors, organized criminals, cyber-hackers, government spies and espionage operatives. Eric served as leader and P&L manager of Veritas Analytics, a wholly-owned subsidiary of Camber Corporation. He also served as Camber’s Vice President for International Corporate Development where he built a program of direct commercial sales to foreign governments. During his 25 year CIA career, as an SES, Eric led the CIA’s principal training organization that conducts all aspects of the CIA’s training. He led the complete transformation of the office from a typical government bureaucracy into a for-profit business enterprise within the Federal government and pioneered the use of participative management techniques and knowledge management. He led the office that created and managed cover arrangements for all CIA personnel and others in the US government. Eric conducted and managed undercover CIA operations in five overseas offices in Europe, Eastern Europe and the Middle East; he served as Chief of Station in three of these offices. Eric conducted high-risk espionage and counter terrorism operations in the Middle East, Asia, Western and Eastern Europe, Africa, and South America. Copyright CQC International Solutions, LLC.